Lambs Conduit Street is like a London Shangri La – a mythical place that no one seems to know exactly where it is. Is it Holborn or Russell Square? Or maybe Bloomsbury? In fact, the local maps now just refer to the area as Lambs Conduit Street. What I do know is that it’s a wonderful little through-way tucked between Great Ormond Street Hospital and Theobald’s Road. Just a few minutes’ walk from the tourist filled hotels of Russell Square, it’s actually the type of street you’d get in a residential area in the outer boroughs of London, not somewhere slap bang in the middle. While its does have a handful of good cafes, including Blue Morpho, it is better known for its high end restaurants and design stores. Served in a glass cup, which was surprisingly tactile and well-insulated keeping the drink warm, this was a hazelnut-y brew. 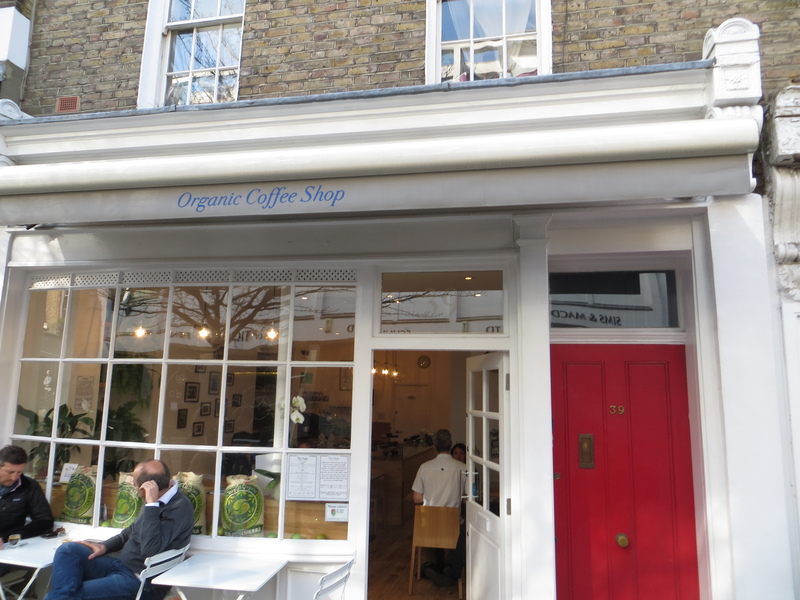 As an organic coffee shop, it uses Coffee Plant’s Peruvian beans, which is a Fairtrade London-based roaster. According to the in-house literature, the coffee is especially good for milky drinks as the flavour of the coffee is retained. 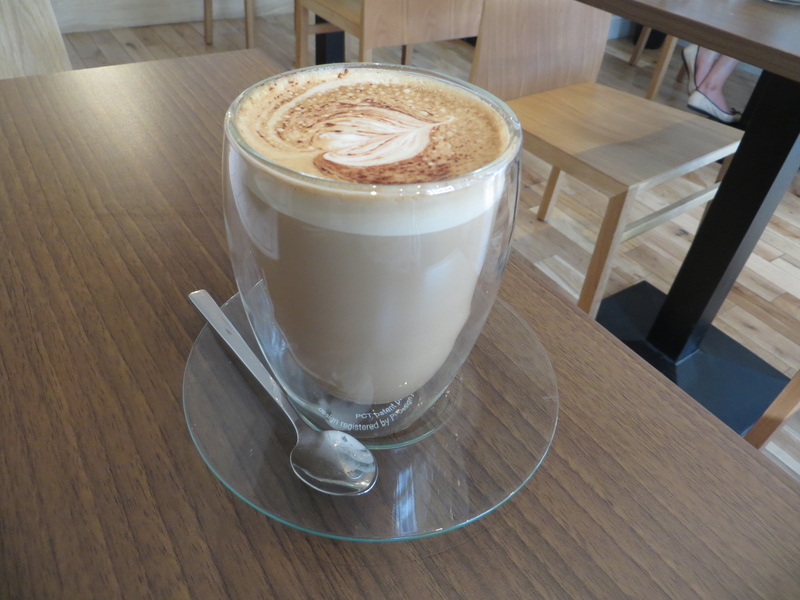 And I have to agree – despite being a large cappuccino, the taste was strong and lasting. Somewhere between an organic spa and what I imagine Ikea’s corporate offices are like, it was a calming and relaxing place, fitting in with the organic theme. The white walls and pale wood furniture are given a bit of texture with the numerous pictures of tropical frogs dotting the walls. The magazine selection seemed to be aimed at local office workers with the FT and Economist lying around. It was all very Zen and chilled. Along with the usual selections of breakfasts, baked goods, salads and sandwiches (all organic of course) their own little specialty was quesadillas, which was a nice touch. However, the choices were still a bit limited with only four options. 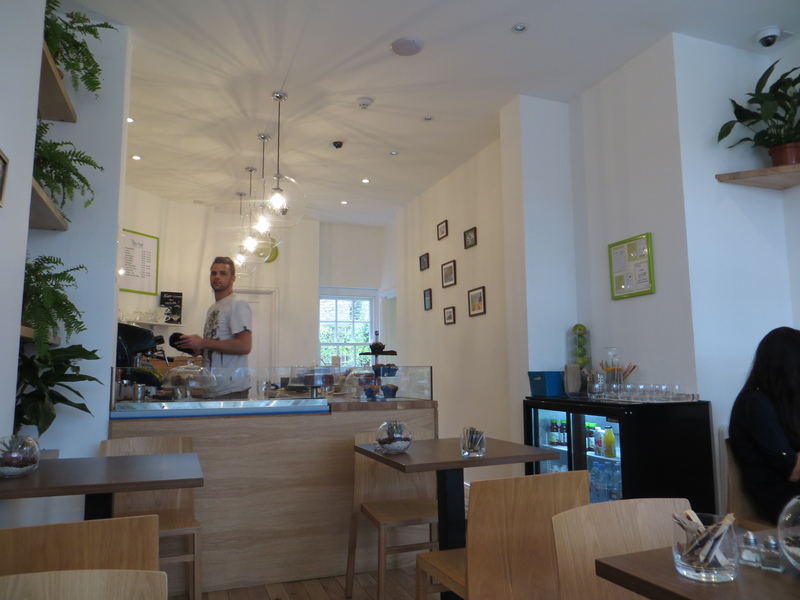 Like the rest of the café, the service was calm and Zen-like. Not much extra going on here, though I give it a point for going all out on the organic front and it’s huge selections of magazines to leaf through. Considering the offices and hospital surrounding it and it clientele that read the FT and Economist, this was a little oasis of calm. An excellent cup of coffee and a great atmosphere make this place.